"We welcome fellow Swede Copycat (Ivan Matanovic) to the MB Disco family. He has made himself a a respected name in the Soundcloud sphere where he shared some of his great remixes of acts like Depeche Mode and Radiohead, just to name a few. He’s also one of the masterminds of the hyped music blog http://www.audioporncentral.com." He sent us Disco Thang a while ago and the track grew every day we listened to it in the office. We simply couldn’t let it pass, said and done, it got signed and now we’re here. It’s a slomo track with a twist of a belearic feeling topped with a nice piano hook. 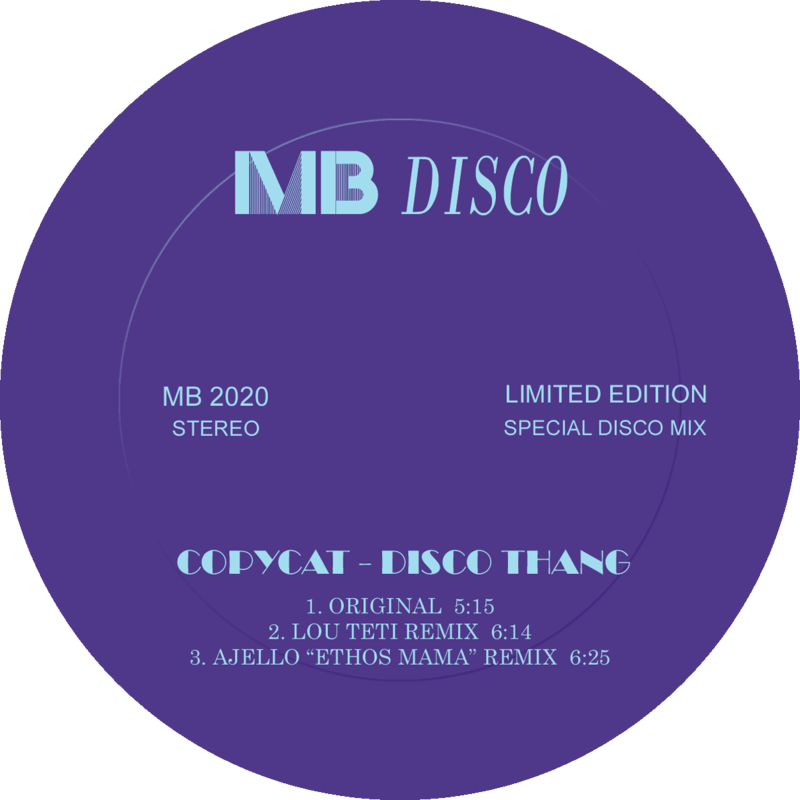 The remixes we got comes from USA and Italy in terms of Lou Teti and Ajello. Lou got hold of a funky bass and added his magic touch. He kept the coolness but added a bit of disco funk to it to make it more for the floor. 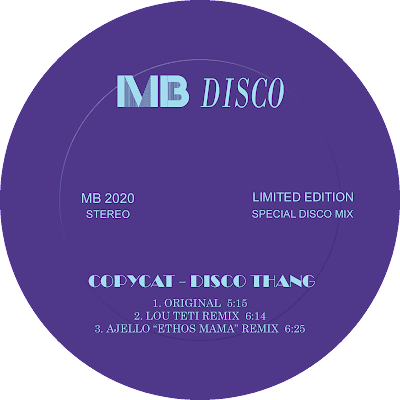 And with the Ajello remix we complete the package with his old-skool acid-deep house-disco touch. We can’t be more than very pleased of course with this release. pleased of course with this release.